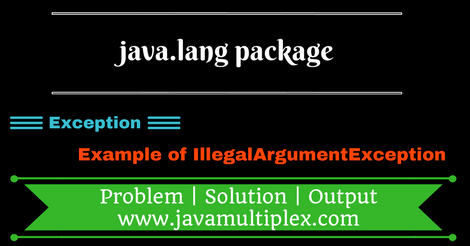 IllegalArgumentException is a class present in java.lang. * package and has following class hierarchy. Thrown to indicate that a method has been passed an illegal or inappropriate argument. * be 1 to 10.